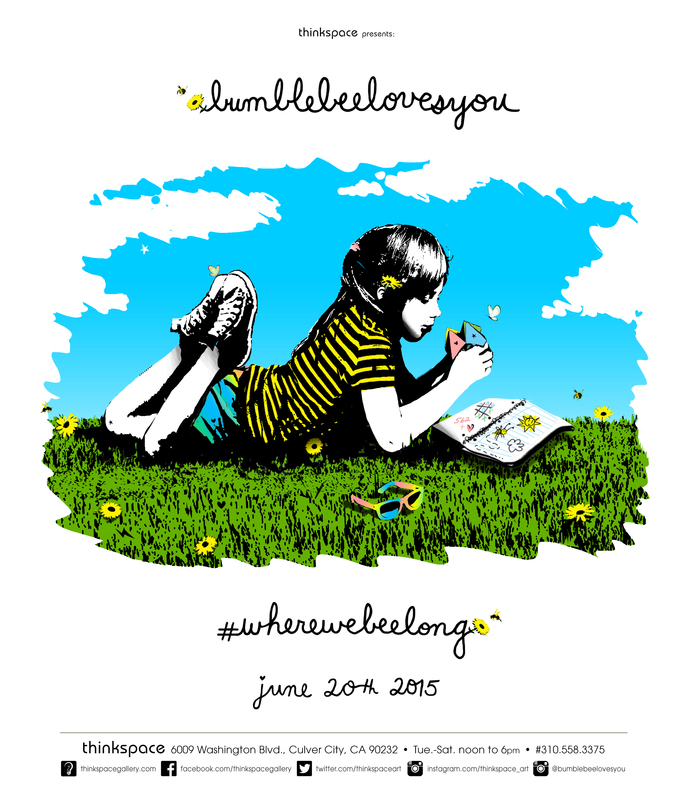 Concurrently on view in the Thinkspace project room is #WhereWeBeelong featuring new works by LA based artist Bumblebeelovesyou. 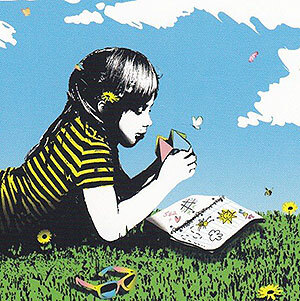 Known for his iconic street art pieces of playful children set in urban contexts, Bumblebee draws from a nostalgic love of childhood memory and its simplicity. Invested in the communicative power of imagery, he brings a poignant vision of innocence to life by drawing our attention to its displacement. Often clad in the artist’s preference for black and yellow, his graphically simple and stenciled characters are harbingers of hope and redemption; reminders of youth and promise in the darkness of gritty urban recesses. Bumblebeelovesyou began his work on abandoned buildings in the town of Downey in South East Los Angeles County. He has created large-scale mural works and architectural interventions throughout the US, often under the auspices of raising awareness for social issues such as youth homelessness. Preoccupied thematically with the progress of time and change, Bumblebee creates thoughtful works about transition and the coming of age. Hopeful and reminiscent, though at times unsettling, his depictions of youth are set in stark contrast to the urban contexts in which they appear. Nonetheless, his works manage to convey a feeling of incorruptible buoyancy; a remembrance of light in the midst of unavoidable darkness. With an investment and awareness for social and environmental themes, his images remind us of the invaluable gift of beginnings, and the shared responsibility of ensuring continuity.